Richard Dawkins begins The Greatest Show on Earth with a short history of his writing career. He explains that all of his previous books have naïvely assumed “the fact of evolution,” which meant that he never got around to laying “out the evidence that it [evolution] is true.” This shouldn't be too surprising: science is an edifice of tested assumptions, and just as physicists must assume the truth of gravity before moving on to quantum mechanics, so do biologists depend on the reality of evolution. It's the theory that makes every other theory possible. All of which raises the point: who, exactly, is supposed to read this book? Is Dawkins preaching to the choir or trying to convert the uninformed? 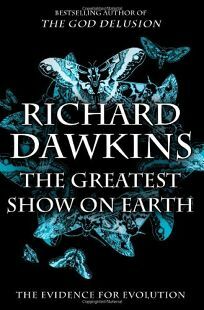 While The Greatest Show on Earth might fail as a work of persuasive rhetoric—Dawkins is too angry and acerbic to convince his opponents—it succeeds as an encyclopedic summary of evolutionary biology. If Charles Darwin walked into a 21st-century bookstore and wanted to know how his theory had fared, this is the book he should pick up.